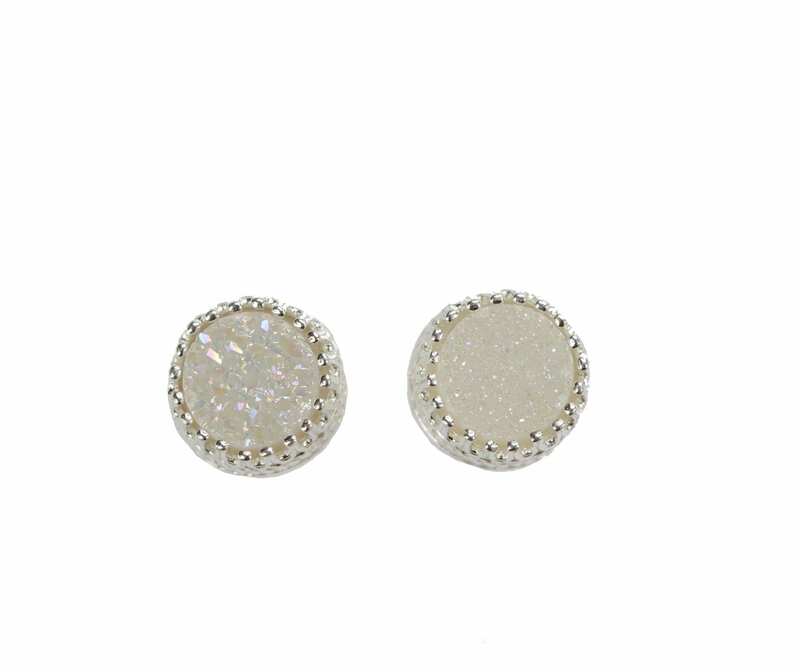 6mm size stone bezel set in sterling silver .925 crown settings. 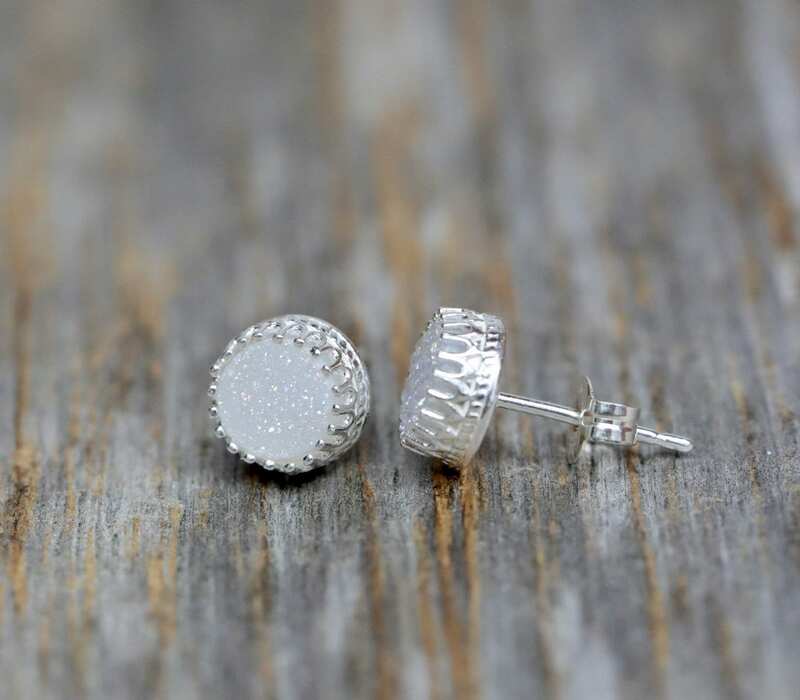 This offering is for ONE pair of earrings only. 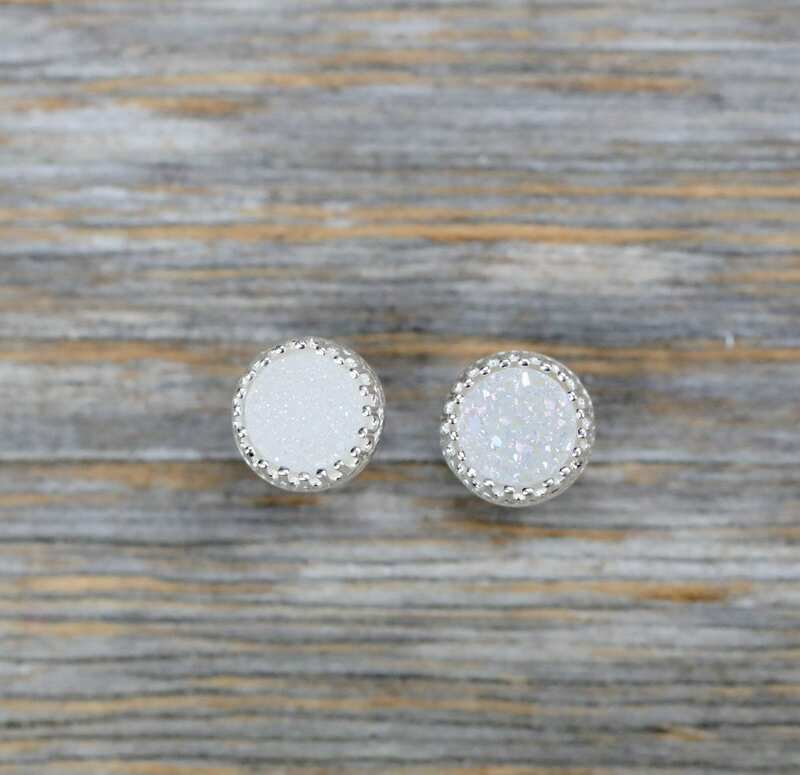 the white Druzy earrings. 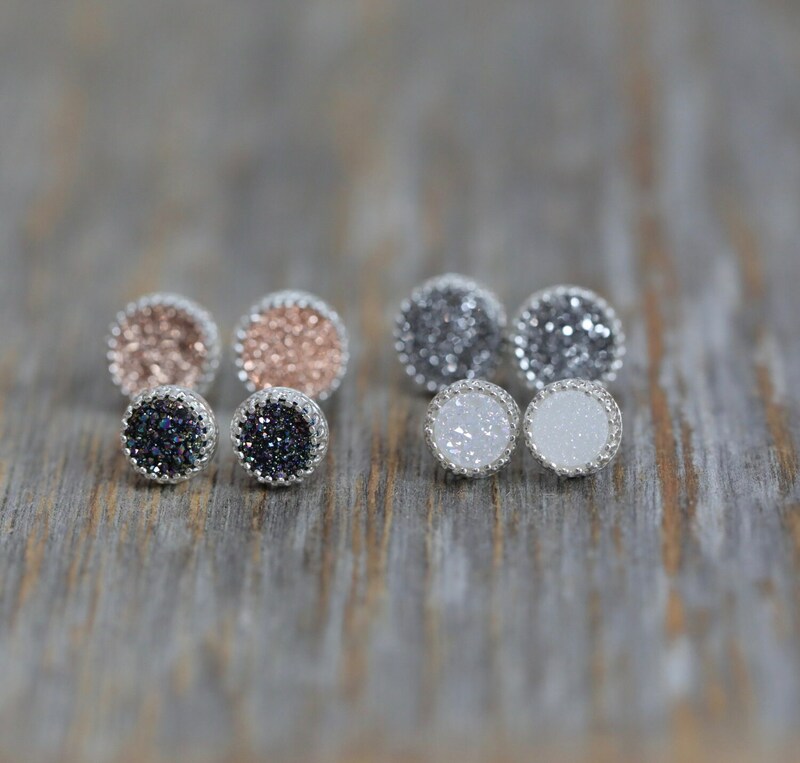 For additional druzy studs photographed, please contact us or check back in our Etsy shop. 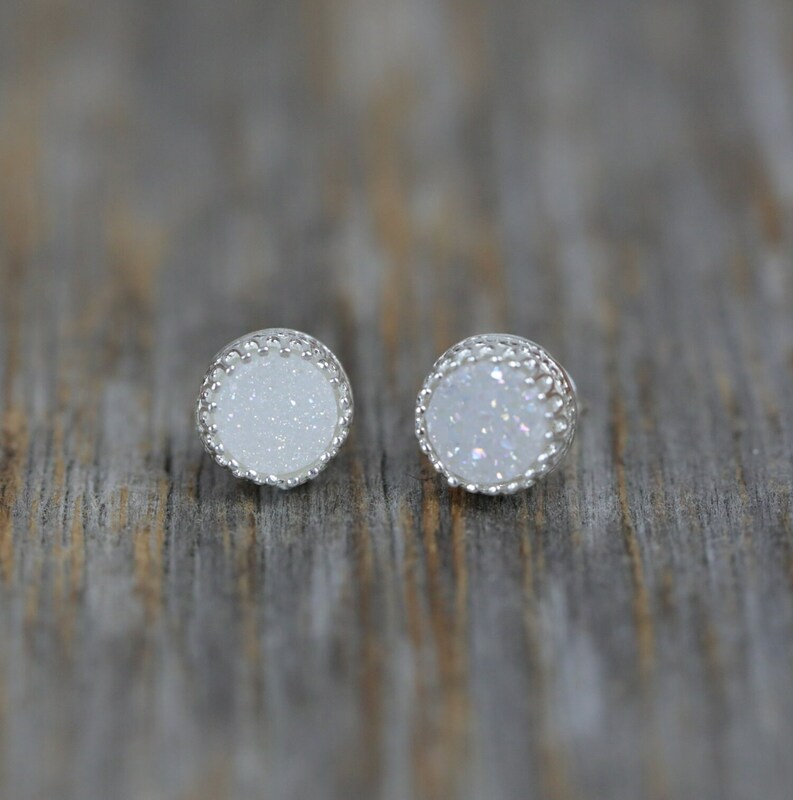 Note: Each earring pair will be slightly different, as with all natural gemstones and no two pairs of earrings will be 100% exactly alike, as they are handmade individually. They will be matched as closely as possible to each other and the photographs.